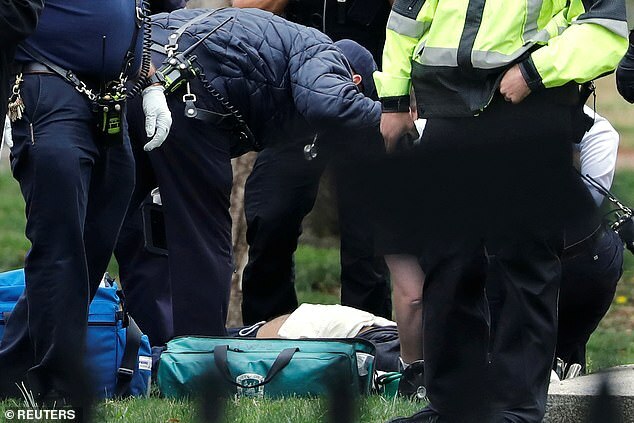 The White House was put on lockdown Friday after a man on a mobility scooter set himself on fire outside the North Lawn. 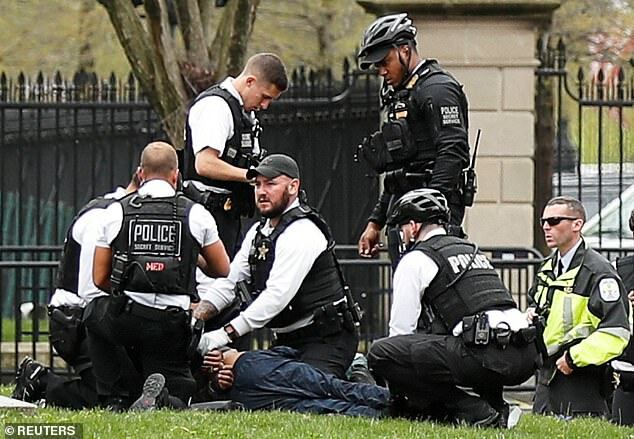 Pictures show the secret service and law enforcement swooping to arrest him. An official said the fire was extinguished and the man was given first aid around 3pm. 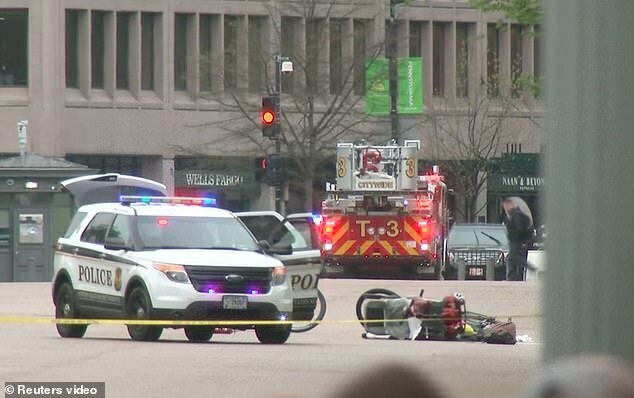 NBC Washington reports a suspicious package was also found near the suspect, who is understood to have mental health issues. 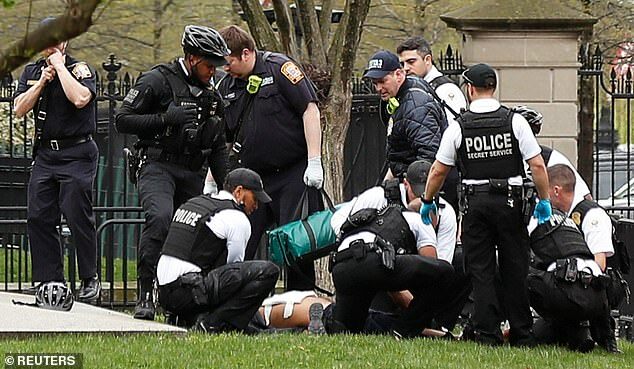 President Donald Trump was in the White House at the time but was not in danger, a CNN reporter said on Twitter. 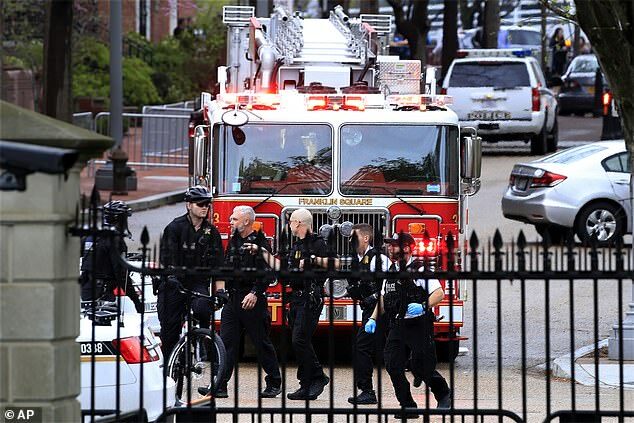 The incident occurred shortly after Trump spoke in the Roosevelt Room about the nation's 5G network and the smoke could reportedly be smelled in the West Wing. 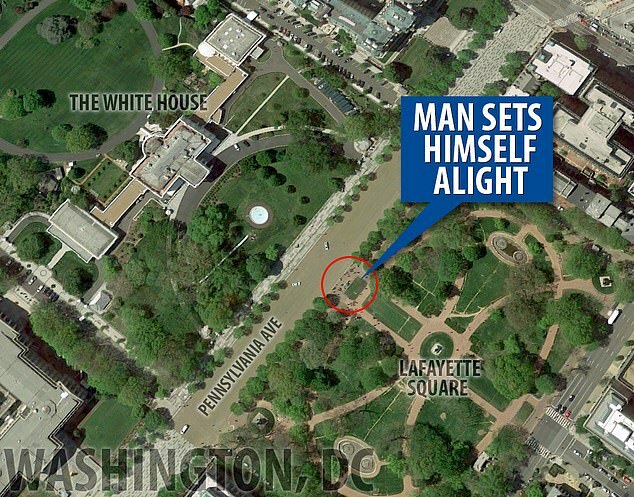 The secret service cleared the North Lawn, Lafayette Square and the sidewalk in front of the White House. The media were asked to stay in the West Wing. 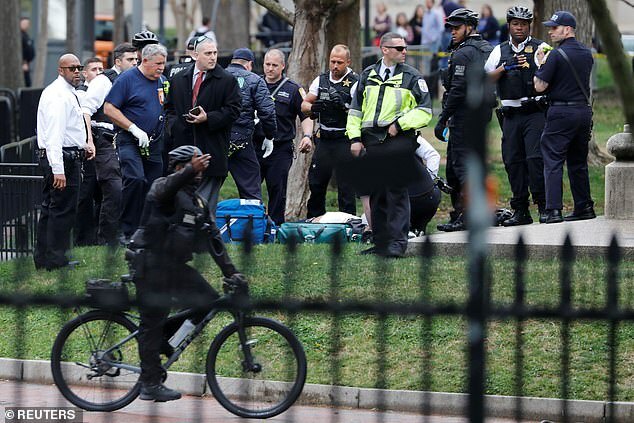 The secret service said they responded to a 'police/medical incident' and four uniformed officers were seen carrying the suspect away from the scene face-down. 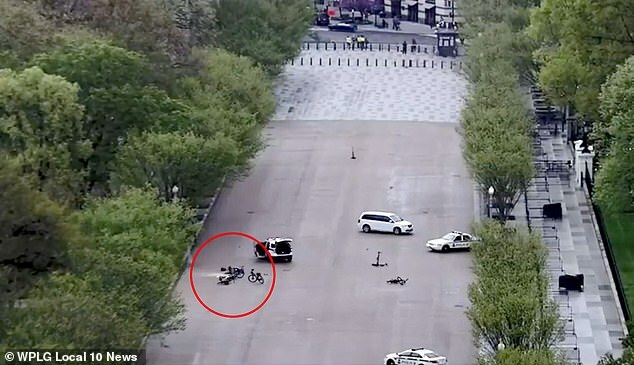 They tweeted: 'A male subject operating an electronic wheelchair-type scooter lit his outer jacket on fire while sitting along Pennsylvania Ave outside the North Fence Line. 'Uniformed Division Officers immediately responded, extinguished the fire and rendered first aid. Daniel Kingery, a 57-year-old voter rights activist, said the man was holding up his burning jacket and recording the incident, which appeared to be a demonstration. 'He wasn't obeying their order to put it down, so it was definitely some sort of a protest,' Kingery said.